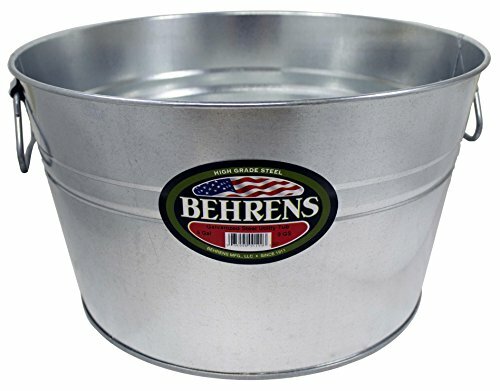 Behrens 5 gallon round utility tub is perfect for pet grooming, using as a party tub/ice bucket or a classic planter. The tub is made of durable galvanized steel, sealed to hold liquids and features an offset bottom and has a wire reinforced top rim. Stronger than plastic, this pail won't absorb odors and is recyclable.